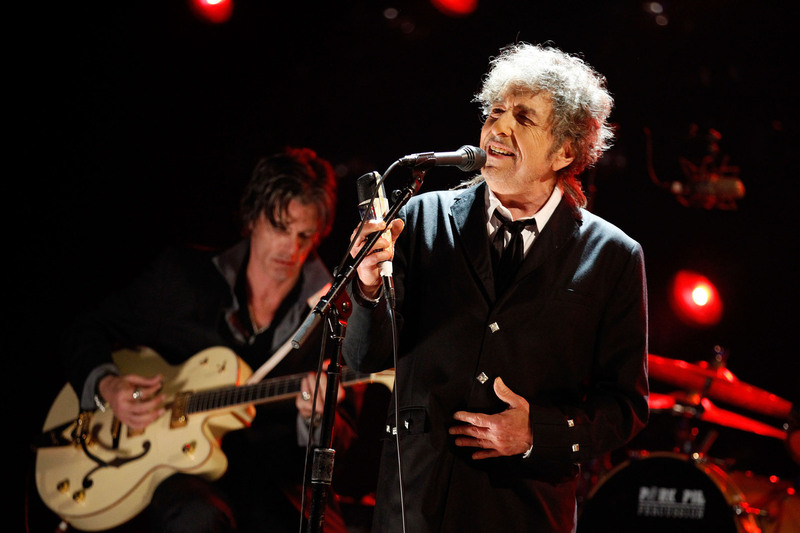 Bob Dylan performs onstage during the 17th Annual Critics' Choice Movie Awards at The Hollywood Palladium on Jan. 12, 2012, in Los Angeles. In his next album, Dylan will "uncover" Frank Sinatra. He's doing it his way – even though "My Way" won't be on Bob Dylan's new album of Frank Sinatra covers. Dylan's new album, Shadows in the Night, is being released in February. It's his 36th studio album, and will come three years after Tempest. "I don't see myself as covering these songs in any way," Dylan said in a statement. "They've been covered enough. Buried, as a matter a fact. What me and my band are basically doing is uncovering them. Lifting them out of the grave and bringing them into the light of day." The album, being produced by Dylan under his pseudonym Jack Frost, has 10 songs made famous by Sinatra. One of them, "Full Moon and Empty Arms" is available for sale. Other classics include "Some Enchanted Evening" and "Stay With Me." The full album, to be released Feb. 3, is available for preorder.